IONYS™ is the first wine yeast that has been selected within the Saccharomyces cerevisiae species for its capacity to significantly and naturally acidify must during fermentation. Wines obtained from high maturity grapes and fermented with this yeast are well-balanced and fresher. 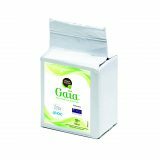 Gaïa™, is a Metschnikowia fructicola yeast with no fermenting power to fight against this harmful microflora. Gaïa™ is a completely natural tool for limiting pre-fermentation sulfiting, whether used during cold soak or earlier (during harvesting). It also facilitates the subsequent implementation of selected and inoculated S. cerevisiae yeasts for fermentation. 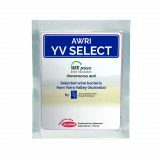 AWRI YV Select™ is an uniquely efficient Australian wine bacteria Oenococcus oeni wine bacterium which can perform under the most difficult winemaking conditions, such as very high alcohol and low temperatures.